Unique opportunity for an investor with vision. A basic real estate rule of thumb is to invest in the path of growth. 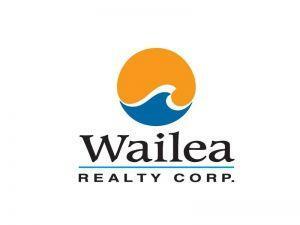 Paia Town is one of the fastest growing, most desirable locations on Maui. It is still one of the most affordable places to live. This growth and affordability are drawing businesses, travelers, and Maui residents looking for the promise of a more Hawaiiana experience. This older home, sitting on nice lot in the path of PaiaÃ¢Â€Â™s growth, is an interesting opportunity for the right individual. The lot is just under 10,000 square feet and is currently zoned R-1. With rezoning to R-3 or a multi-use designation, the land could be used for multi-tenant housing, mixed use or retail. The location is directly across from the new US Post Office. Businesses have been filling in the space between the Hana Highway and 123 Baldwin - and Paia Town needs room to grow. For residents and visitors seeking the laid back Maui experience, Paia is one of the coolest places on the island, and it seems to continually redefine Ã¢Â€ÂœcoolÃ¢Â€Â year after year. The blend of unique boutiques, one of a kind shops like Mana Foods, and destination restaurants like MamaÃ¢Â€Â™s Fish House and others make Paia a popular spot for everyone on Maui. Paia needs developed space for business and residential space as well. Work and living space would also be ideal and all of those make 123 Baldwin the valuable opportunity it is. DO NOT DISTURB OCCUPANTS. ALL INTERESTED PARTIES MUST BE ACCOMPANIED BY THE LISTING AGENTS. QUALIFIED BUYERS ONLY. I am interested in 123 Baldwin Ave, Paia, HI 96779 (Listing ID # 379838).